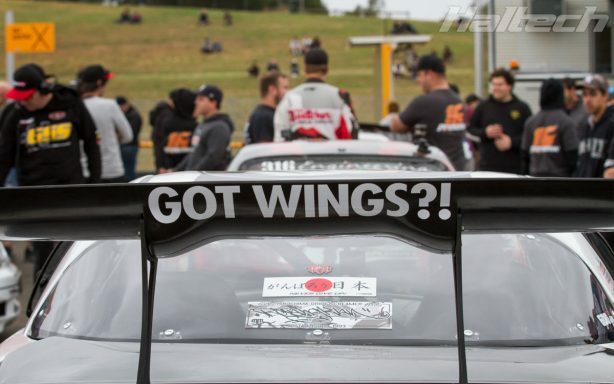 Just when we thought time attack cars at WTAC have reached their limit and could not possibly go any faster, the teams have once again proved us all wrong. 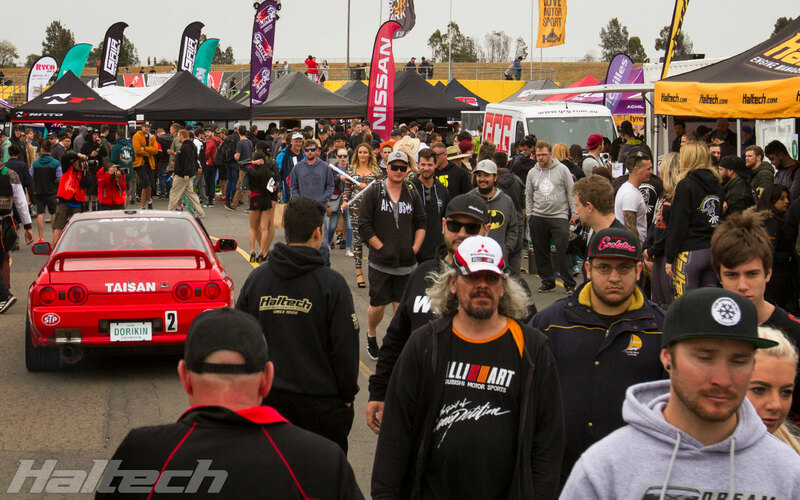 With the weather forecast looking ominous for Saturday, most teams went hard early on Friday to get their runs on the board. 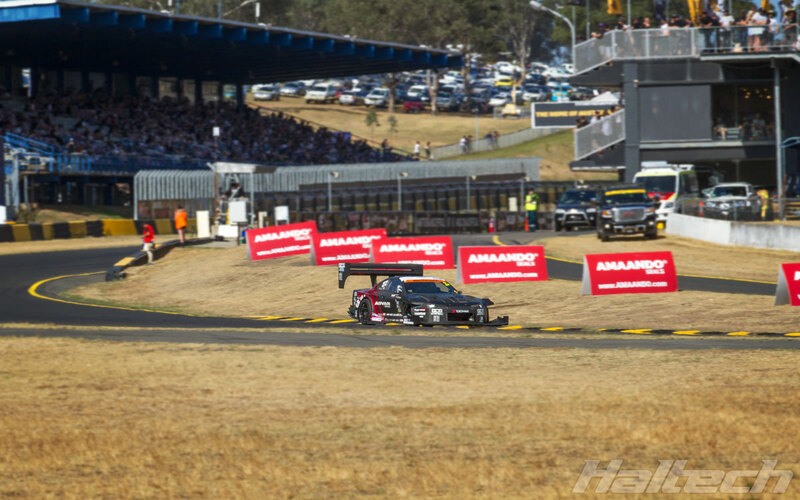 As it happened Saturday ended up being cool and almost rain-free, in other words ideal for turbocharged, high horsepower machines! 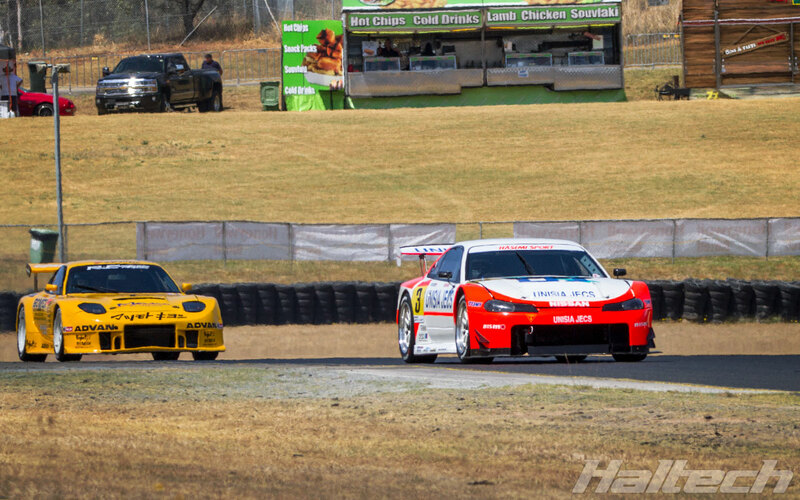 The fans were treated to some of the fastest, most exciting time attack action ever, with records falling across almost all classes. 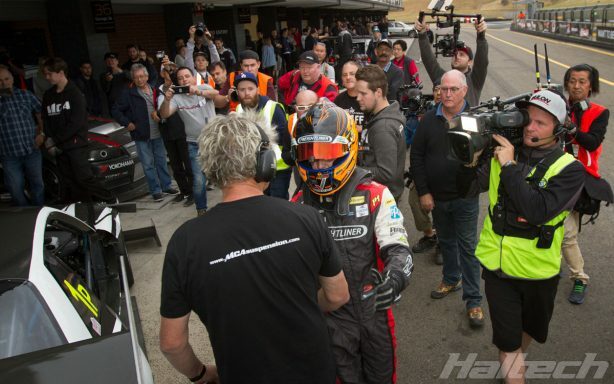 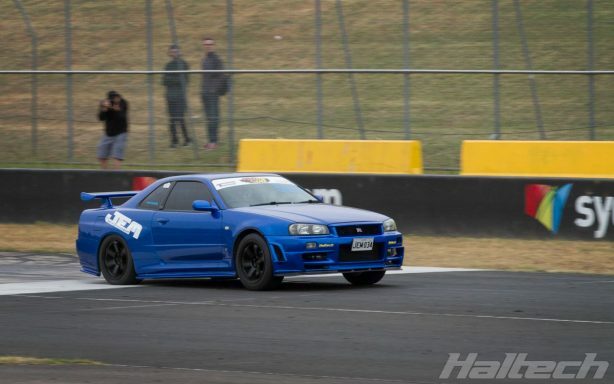 The WTAC tradition of breaking the event’s outright lap record every single year was preserved when the reigning champions, MCA Suspension smashed their 2016 record on Day 1. 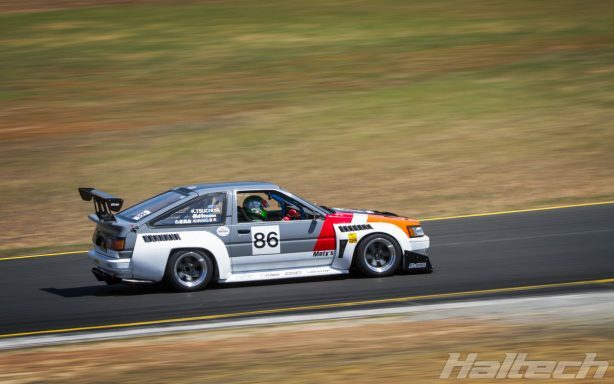 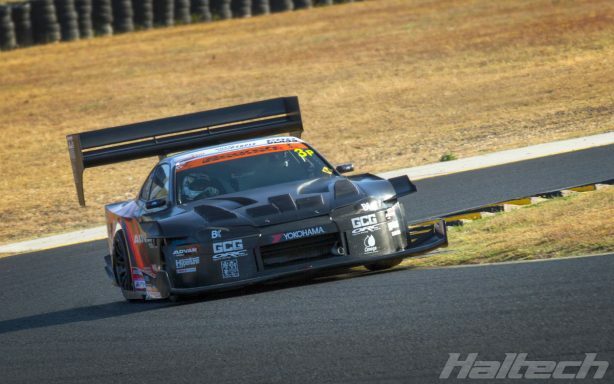 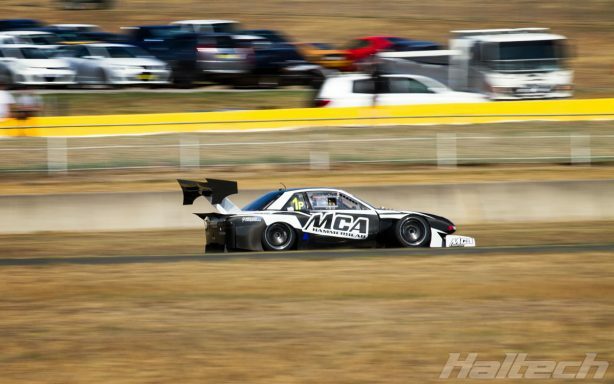 Driven by Tim Slade, MCA’s “Hammerhead” Nissan Silvia S13 was untouchable with a string of insanely fast laps, culminating with a 1:20.97 – over a second faster than their previous record! 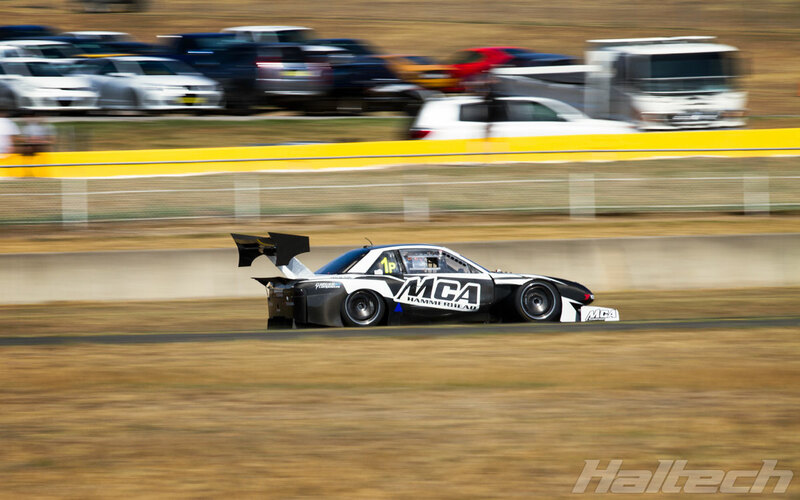 Congratulations to Murray Coote, Tim Slade and the whole MCA Suspension team. 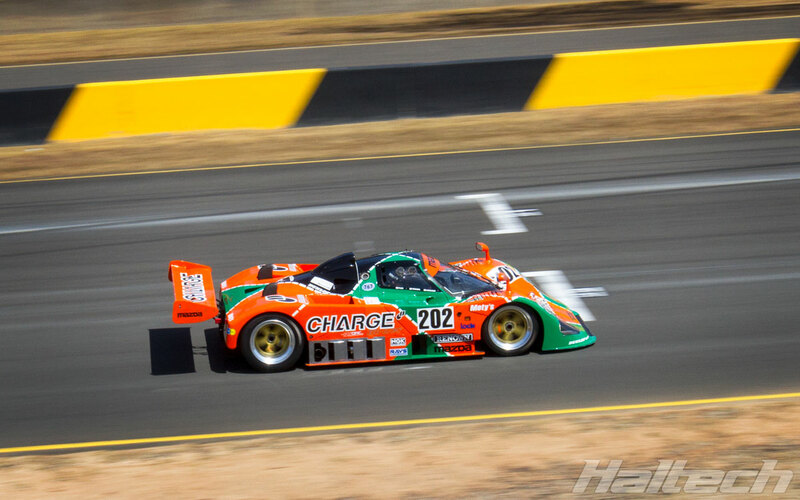 In the 2nd outright place with a lap time of 1:21.485 was the RP968 Porsche driven by Barton Mawer. 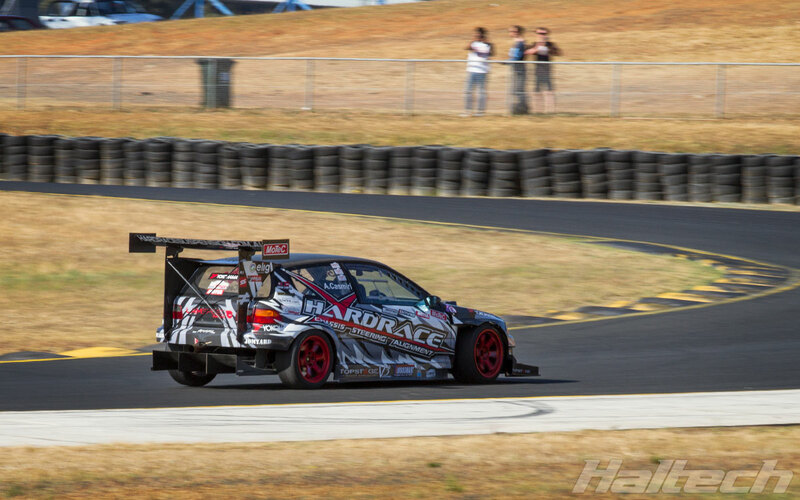 One of the most extreme builds at World Time Attack Challenge it was only half a second behind MCA’s Hammerhead. 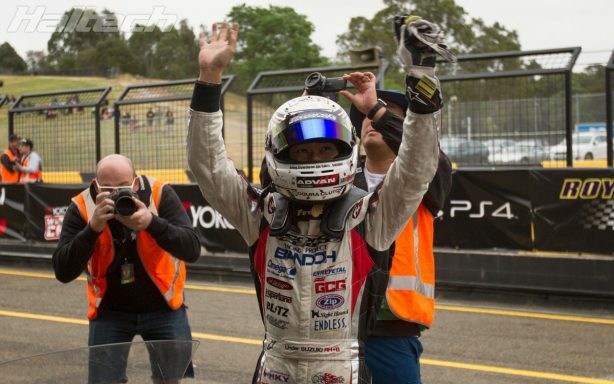 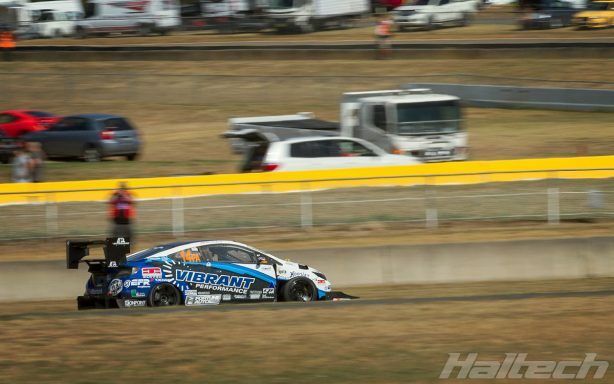 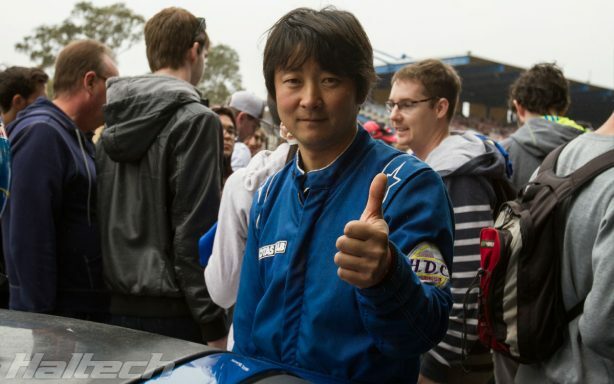 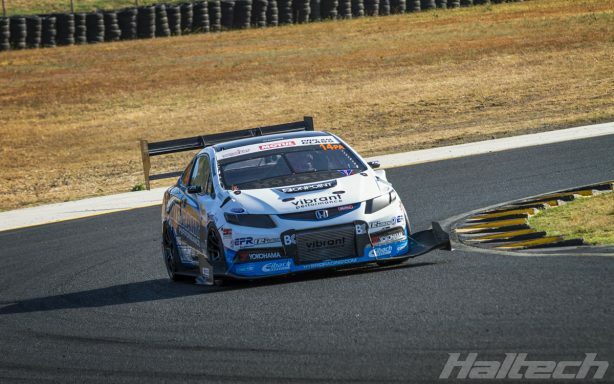 WTAC stalwart and a crowd favourite, “Under” Suzuki claimed the third outright place with a 1:21.796 lap time. Suzuki shaved almost 1.5 seconds off his previous best and just like MCA and RP968 beat the 2016 WTAC lap record. 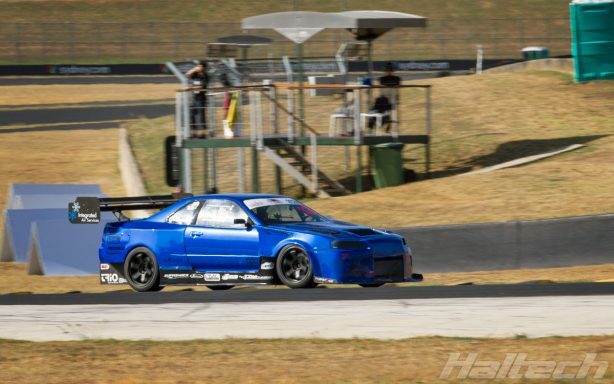 Team Scotland AFP Subaru WRX finished in the fourth spot with Andy Forrest pushing his to a new PB of 1:26.9520. 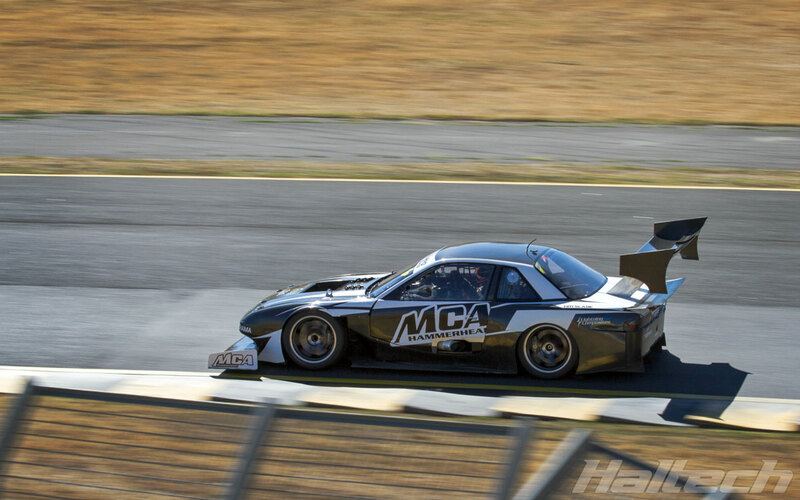 Rob Nguyen claimed a well-deserved win in the Pro Am class with a lap time of 1:26.276. 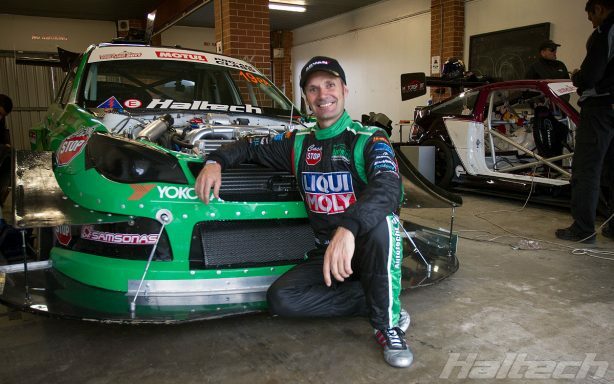 Rob’s “Mighty Mouse” Haltech-powered Honda CRX is not only the fastest FWD at Sydney Motorsport Park but quite possibly the fastest time attack Honda in the world! 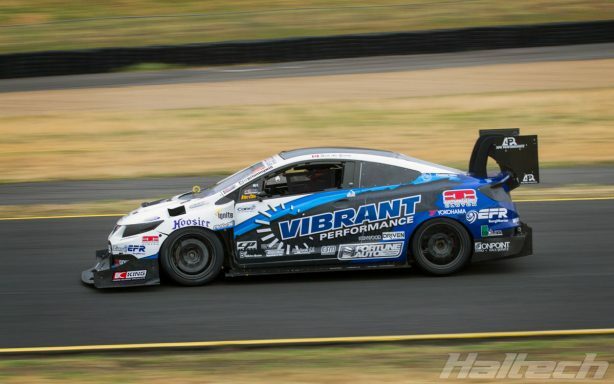 William Au-Yeung and the Canadian Vibrant Performance team claimed the 2nd sport in Pro Am with a lap time of 1:28.473. For a team to bring their car half way around the world and claim the runner-up spot in a super competitive Pro Am class is truly incredible. 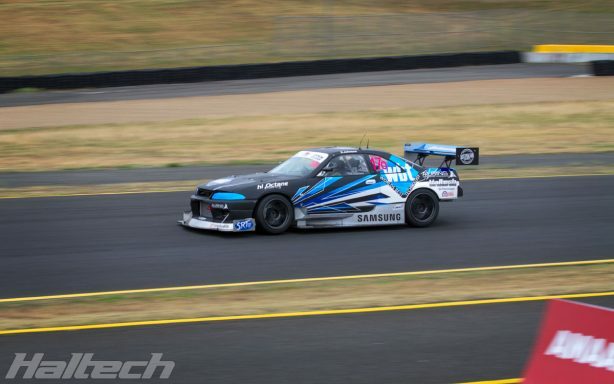 Add to it the fact that this was William’s first ever WTAC the result is nothing short of amazing. Well done Team Canada! 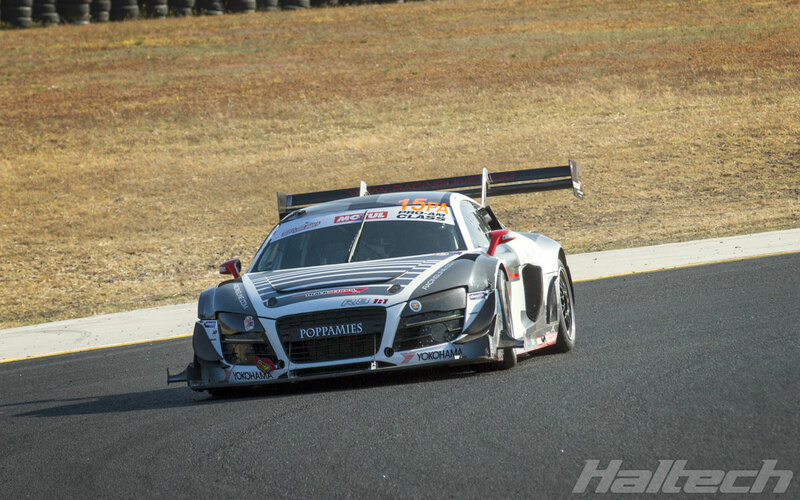 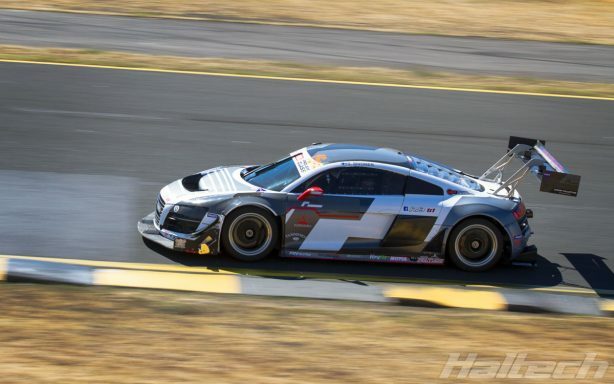 Finland’s Sami Sivonen finished third in his Audi R8 1:1 with a lap time of 1:29.19. Not without their share of mechanical problems the Finnish team remained cool, calm and collected, posting consistent times throughout the event. 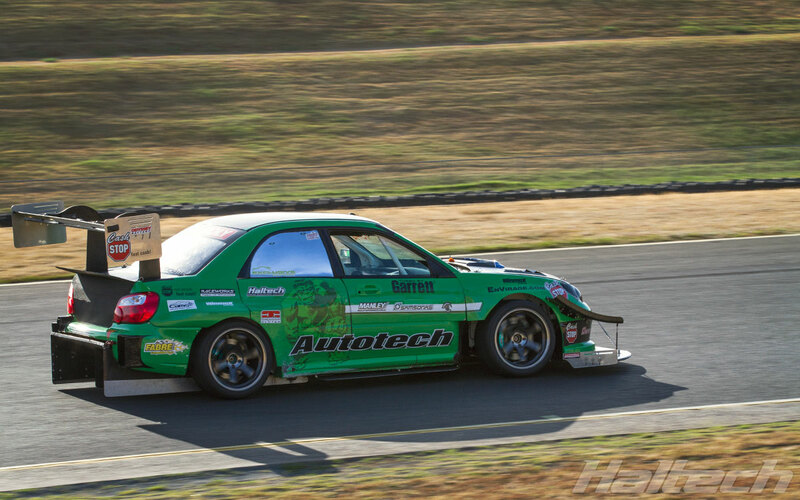 Jason Wright made a welcome return to World Time Attack Challenge in the Haltech-powered Autotech Engineering Subaru WRX STi aka The Hulk. 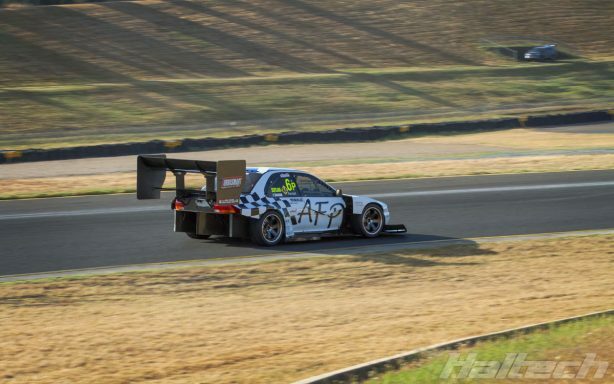 After sorting out a few niggling issues Jason recorded his best lap to date: 1:31.21! 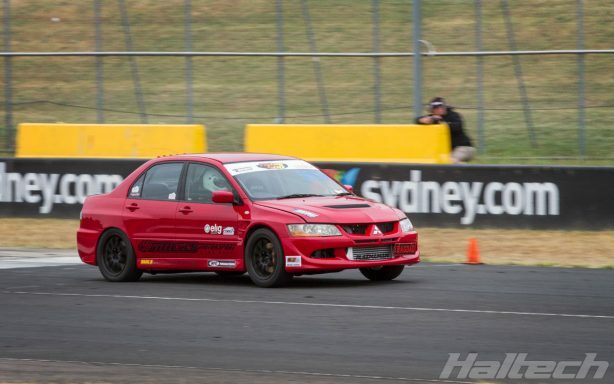 Open Class saw a no-holds-barred fight for the the first spot between the 2015 winner JDMYard Honda Civic with Adam Casmiri behind the wheel and reigning champ Nathan Morcom in the Global Aircraft Services Mitsubishi Evo 9. After two days of non-stop attack, JDMYard emerged victorious, reclaiming their Open Class title with a new class record of 1:27.562. GAS Evo was relegated to the runner-up spot despite going a full second faster than their last year’s best. Matt Longhurst in the Intergrated Motorsport Nissan R34 GTR claimed third with a 1:28.45. 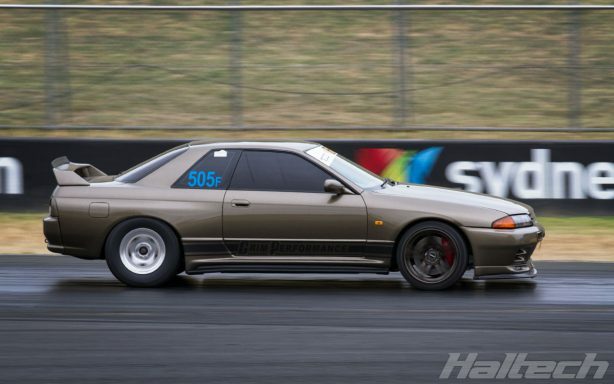 World’s Best Technology Motorsports Nissan R33 GTR managed to set a new PB of 1:30.191. With Steven Johnson behind the wheel and Haltech in charge of the engine the team went over 2 seconds faster than last year! 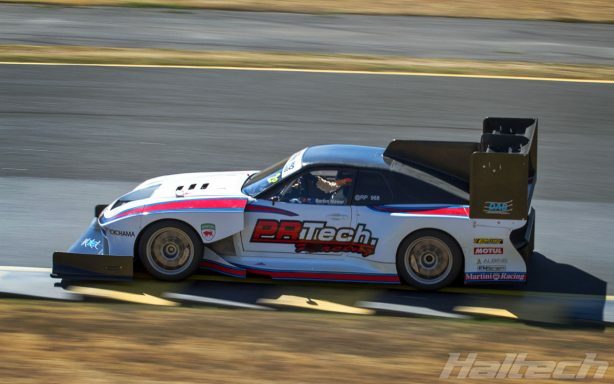 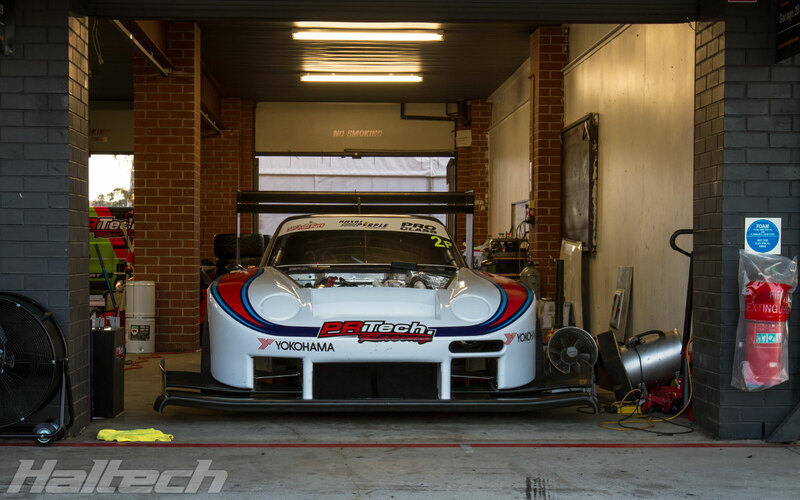 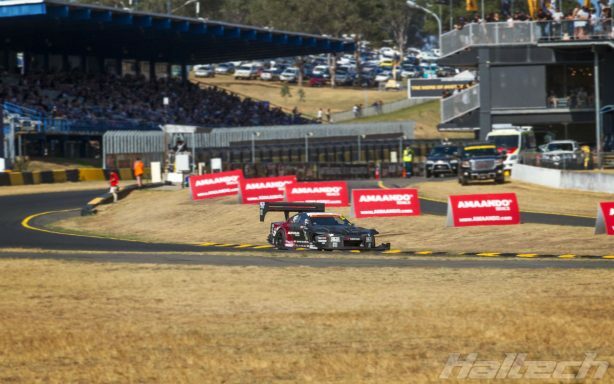 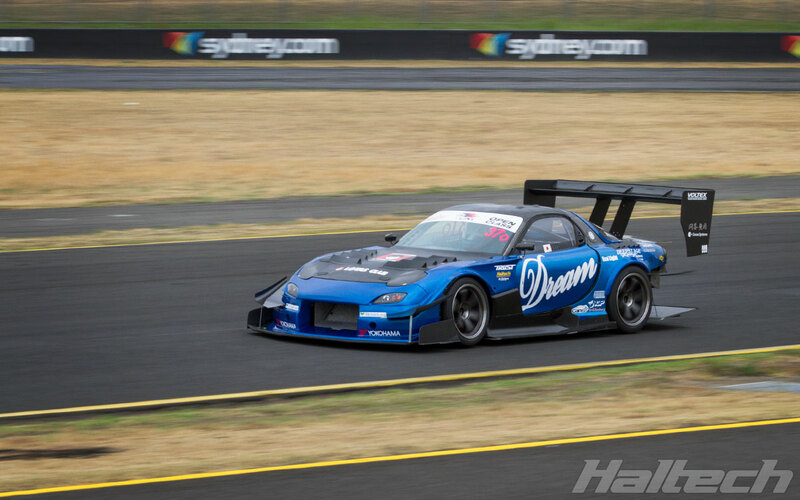 Car Shop Dream’s Mazda RX-7FD suffered from reliability issues on Day 1. 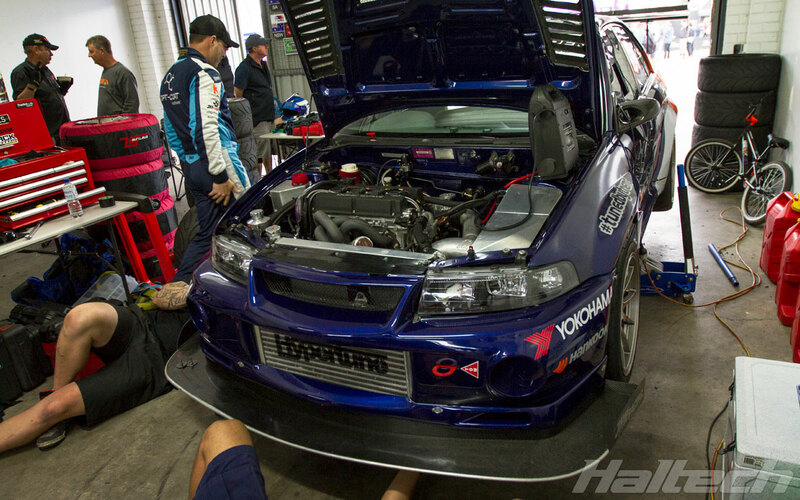 A quick dyno session at Haltech HQ and some on-the-spot remedies did the trick and the team were back on track Saturday morning. 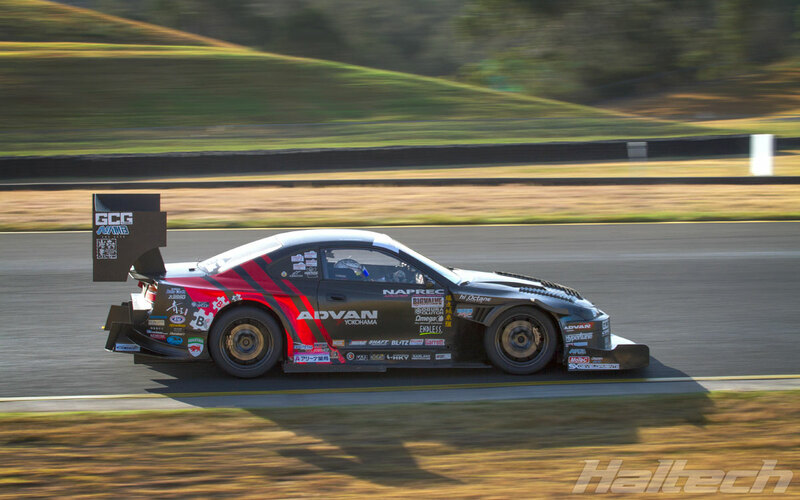 Tetsuhiro Kurokawa pushed hard and immediately improved on his Friday times. By the second session he set his best time of the event – 1:30.844. A personal best and almost 2 seconds faster than his 2016 PB! WTAC veteran Robert Gooley and his Haltech-powered Mitsubishi Evo 6. 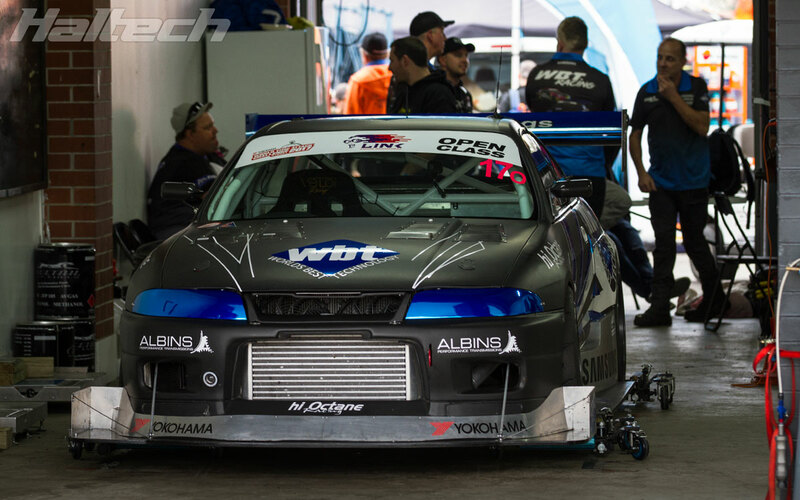 With a new billet motor, Holinger gearbox and drive train Rob set his fastest World Time Attack Challenge lap yet – 1:33.56. 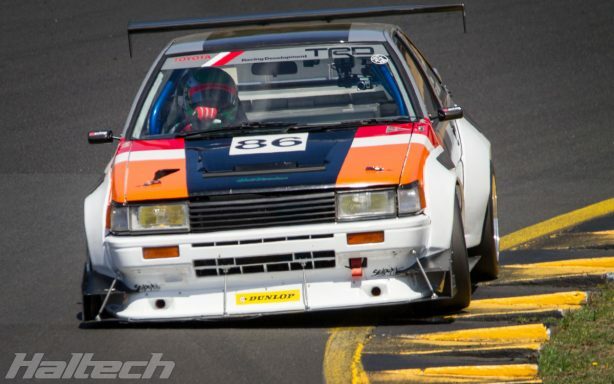 Top effort by Rob and his small team! 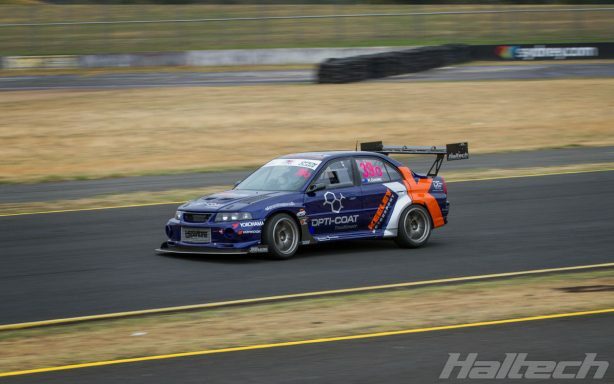 Also resetting his PB this year (1:38.111) was Travis Allen in the Haltech-powered Allen’s Industrial Mitsubishi Evo 9. 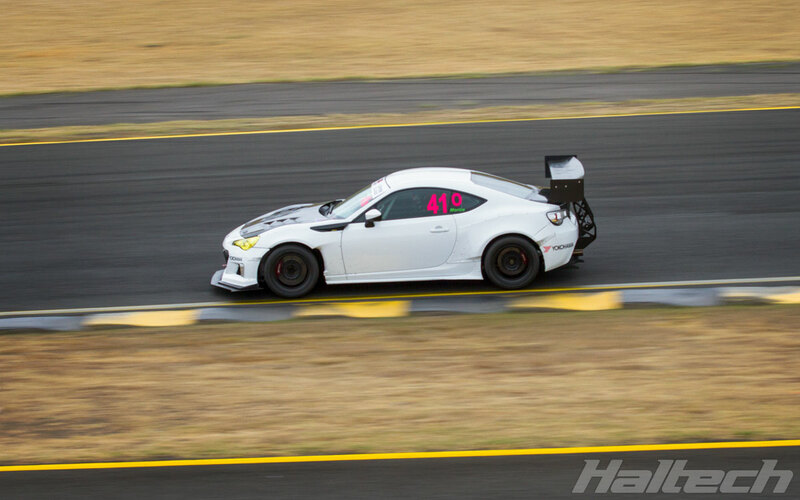 Darrin Morice managed 1:41.396 in his Haltech-powered 2JZ Subaru BRZ. 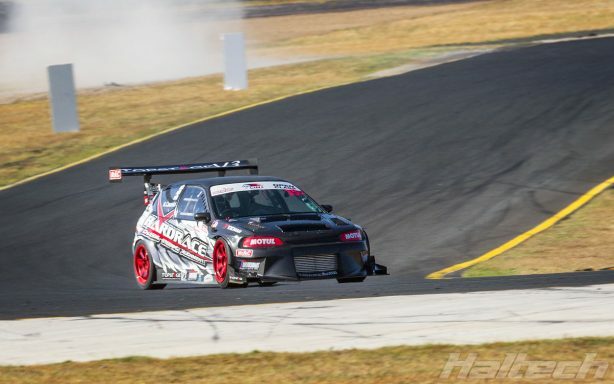 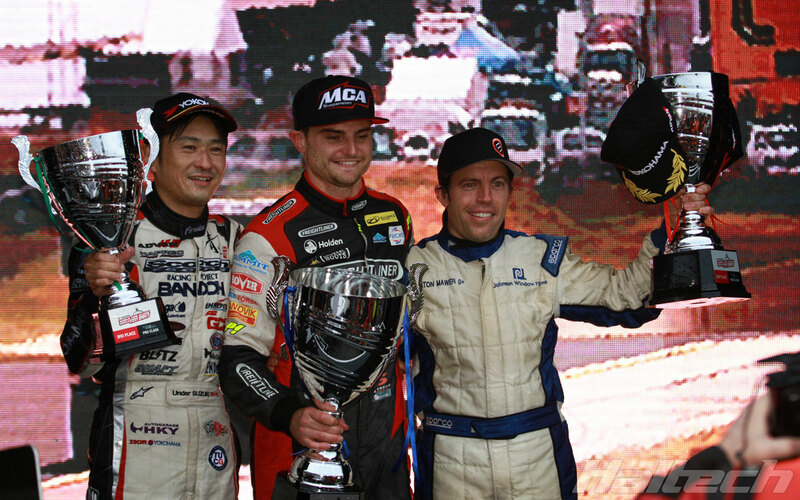 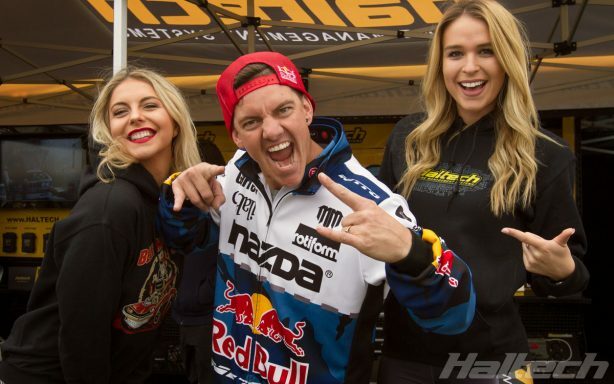 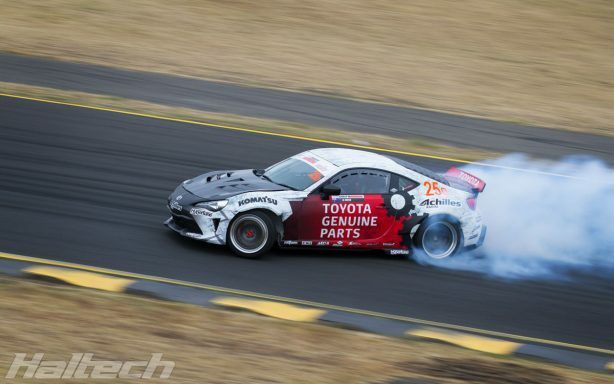 In the International Drift Challenge Beau Yates successfully progressed through the rounds and claimed victory over Japan’s Daigo Saito in the final battle. 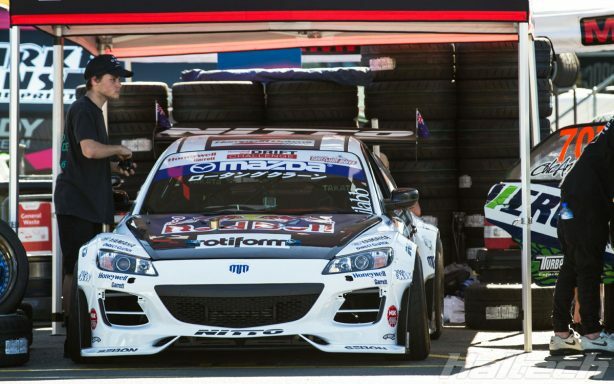 Mike Whiddett qualified with a top score in his Haltech-powered BADBUL Mazda RX-8. 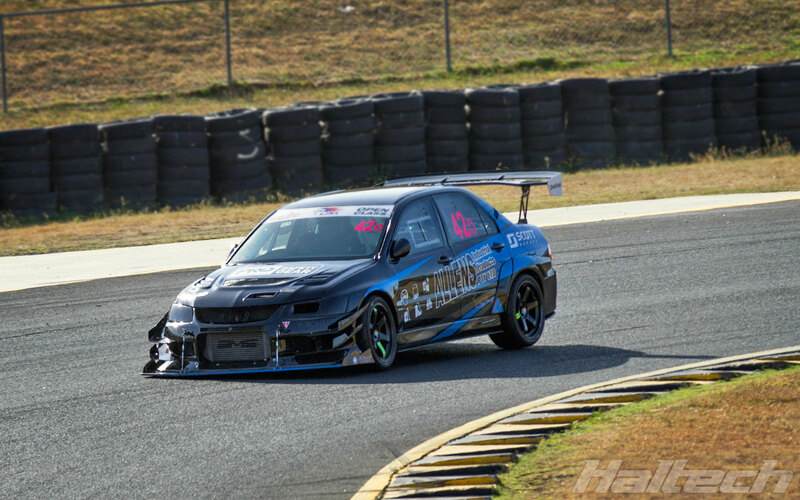 Unfortunately the car sustained sump damage after a rather hard hit on a ripple strip and Mike succumbed to Rob Whyte in a Top 8 battle. 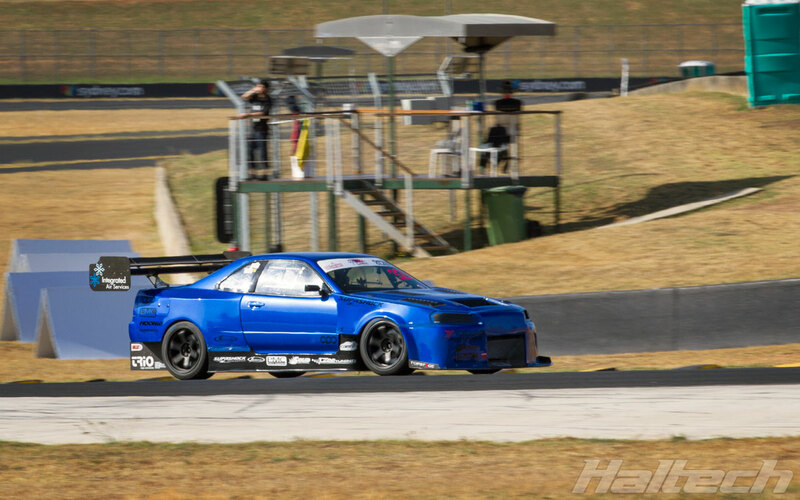 Anthony Bilic showed great potential in a Haltech-powered Silvia S13. 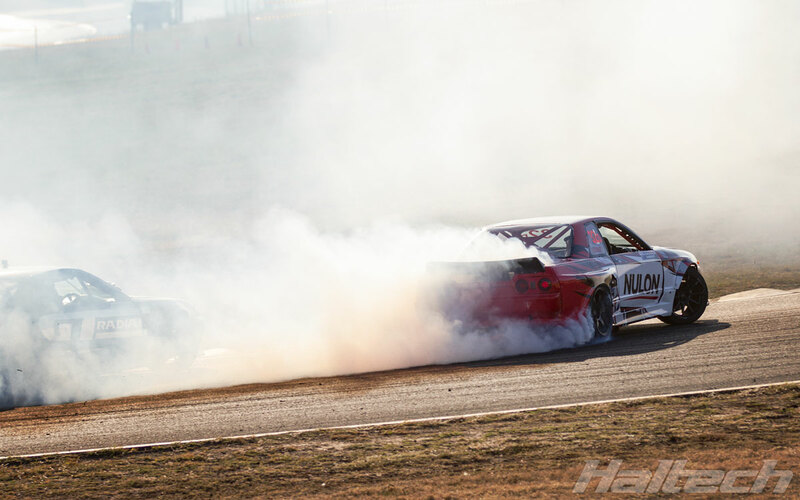 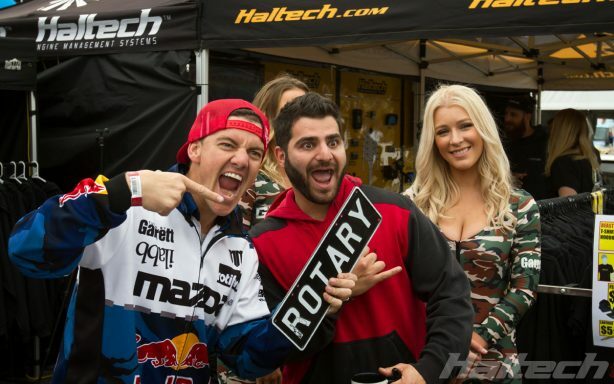 In his first ever International Drift Challenge appearance Anthony faced an experienced Alex Sciacca in the first round. A mistake in the second race cost him his spot in the Top 16. 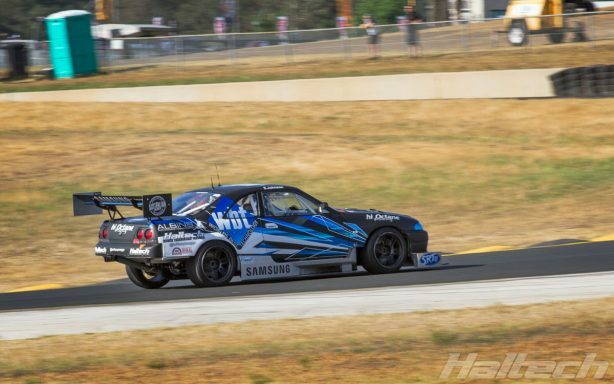 2016 champ Michael Rosenblatt went down to Luke Fink in the Top 16. Without a doubt one of the biggest draw cards of this year’s event was Keiichi Tsuchiya and his famous “Hot Version” Toyota 86. Badly damaged in an accident at Goodwood last year, the freshly rebuilt Mazda 767B Le Mans also went out for some demo laps much to the delight of all gathered. 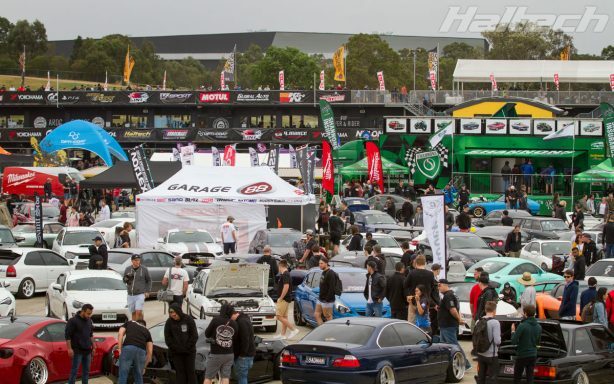 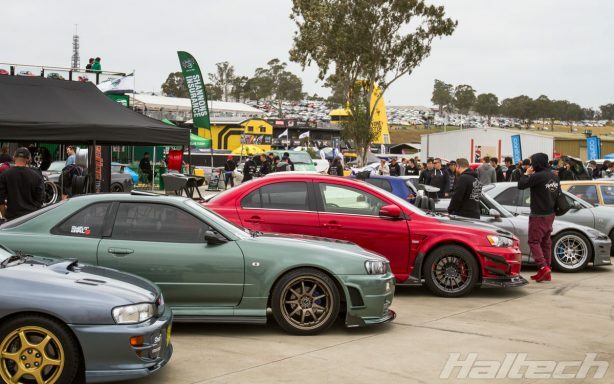 Always entertaining with plenty of on and off track action, the annual World Time Attack Challenge is one of the most exciting events on the Australian motorsport calendar. 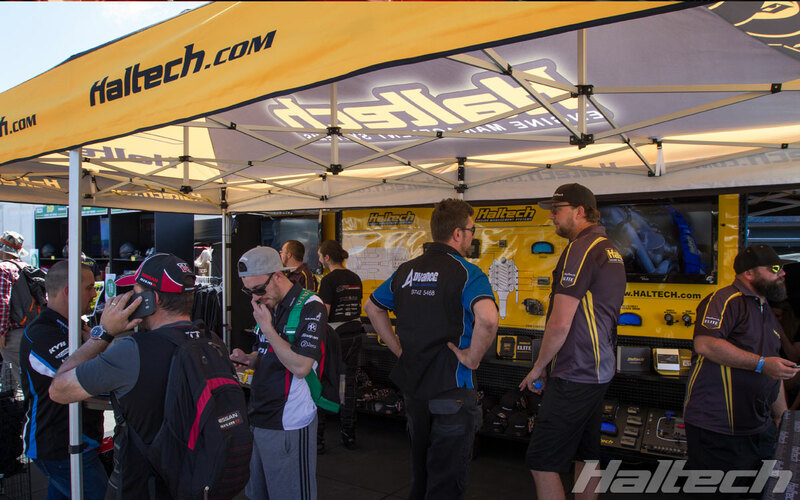 Haltech has been a sponsor and a supporter of WTAC since its inception in 2010 and continues to be a part of this growing event.